These strategies help cows regulate their body temperature, but use large quantities of water and electricity. The average California dairy farm spends $140,000 annually on utilities. This article is republished from The Conversation under a Creative Commons license. 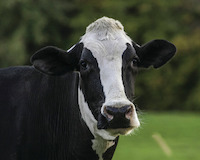 Read the original article here: http://theconversation.com/heat-is-a-serious-threat-to-dairy-cows-were-finding-innovative-ways-to-keep-them-cool-84494.